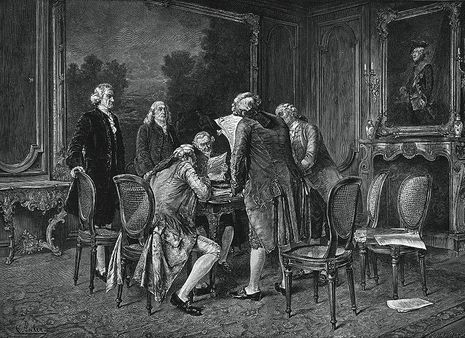 The Peace of Paris was the set of treaties which ended the American Revolutionary War. In June 1781, the Congress appointed Peace commissioners to negotiate with the British. On 30 November 1782, preliminary Articles of Peace are signed by Richard Oswald, with representatives of the United States of America.